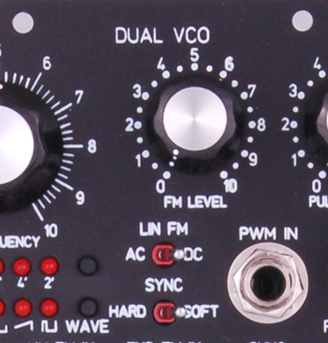 5 U modules are based on the original Moog module format. 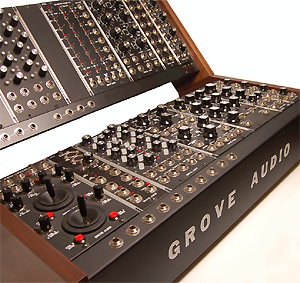 The modules are 8 3/4 inches high and the widths vary in increments of 2 1/8 inches, now referred to as "Moog Units" or MU for short. Manufacturers use a number of power connector formats but most provide at least one common format. 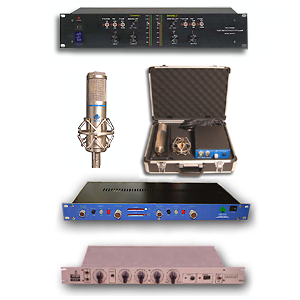 All of our products use a common format which is also provided by several other major manufacturers and are interchangeable with and usable in these systems. 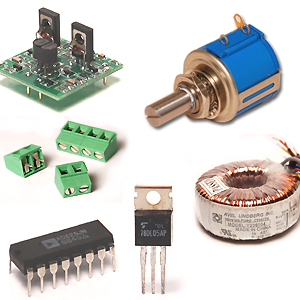 Common supply voltages are + and - 15 Volts and + 5 Volts. 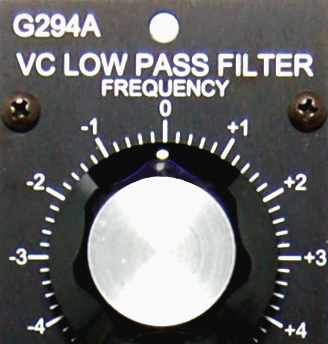 Signal levels are in the range of 5 Volts peak to peak and gate voltage levels are 0 Volts to +5 Volts. Patch cables use a robust 1/4 inch phone plug and jack. Panels for this format are usually black with white graphics. 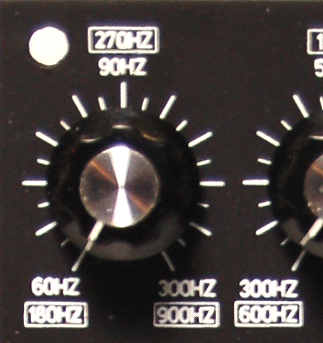 This section contains modules for generating waveforms such as sine, triangle, or square waves or for reproducing more complex waveforms from memory table or from storage media. 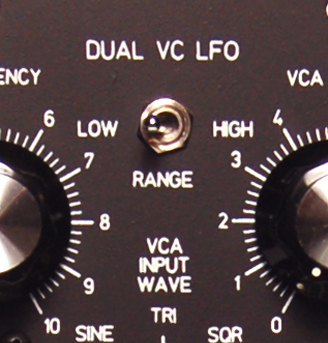 This section contains modules for generating waveforms to control the envelop of the output of an oscillator or filter to give a tone the characteristic attack and decay of a real instrument. 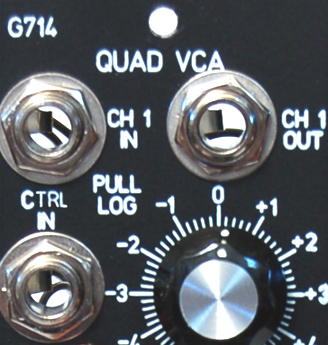 This section contains controllers to generate control signals from MIDI devices such as keyboard controllers, simultaneous two axis control signals from manual joystick control or preset sequences of control voltage or gate signals. 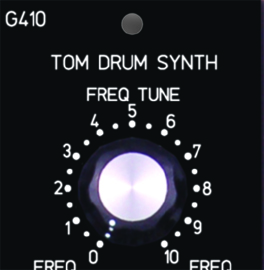 This section contains sound modification effects modules such as delay and reverb and modules to generate percussion and drum sounds. 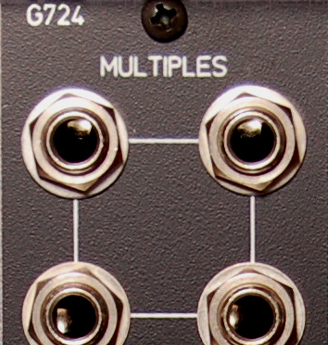 This section contains utility modules that provide routing, attenuation, passive multiplication and other utility functions that make up a complete synthesizer system. 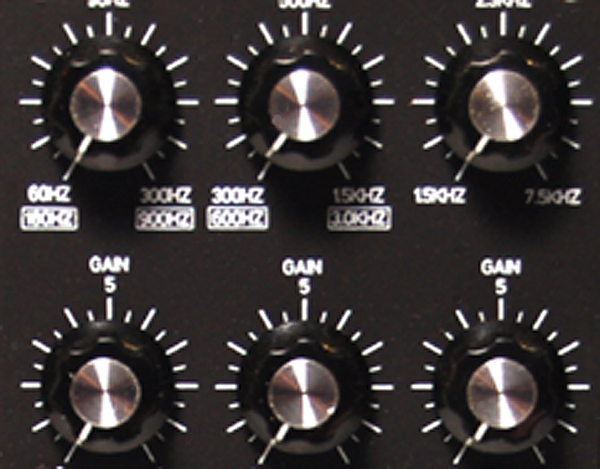 This section contains 5U format power supplies, power distribution boards, power cables and accessories related to processing, regulating and distributing power to modules in the synthesizer. 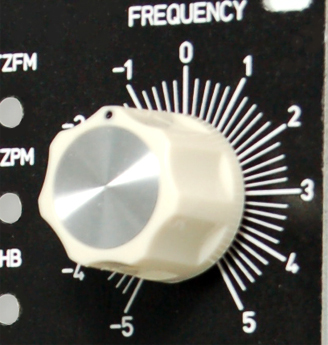 5 U MOTM modules are based on a module format developed by Sythesis Technology. The modules are 8 3/4 inches high and the widths vary in increments of 1 3/4 inches, referred to as MT for short. 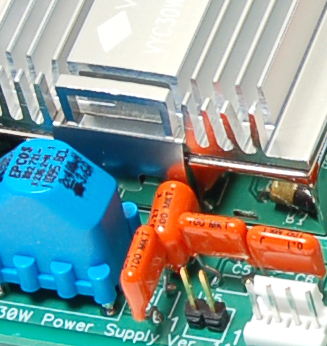 Manufacturers use a number of power connector formats but most provide at least one common format. All of our products use a common format which is also provided by several other major manufacturers and are interchangeable with and usable in these systems. Common supply voltages are + and - 15 Volts and + 5 Volts. 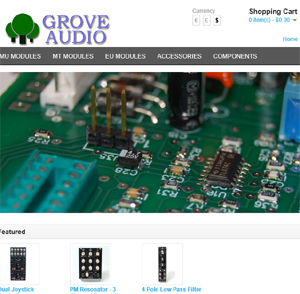 This section contains MOTM format power supplies, power distribution boards, power cables and accessories related to processing, regulating and distributing power to modules in the synthesizer. 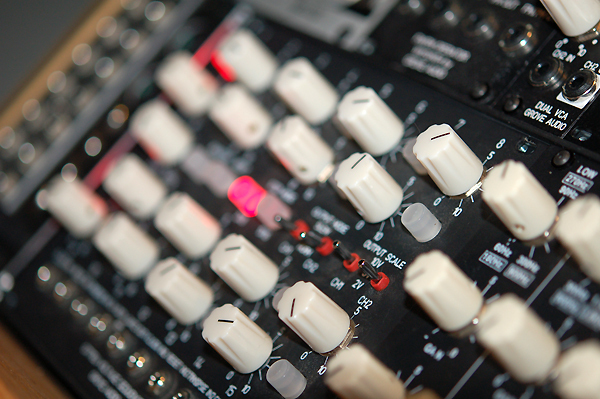 3 U modules are based on a format developed by Dieter Doepfer. The module is 5 1/4 inches high and the width varies in HP units of 0.2 inches. Two types of power connectors are used, a 10 pin dual row connector and a 16 pin dual row connector. 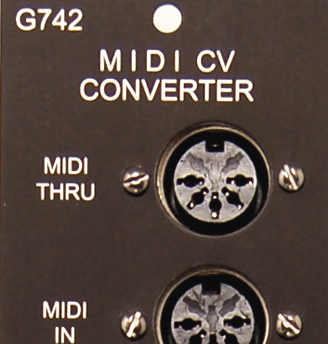 All of our modules use a 16 pin dual row connector with a plastic shroud and key to prevent incorrect insertion of the power connector. 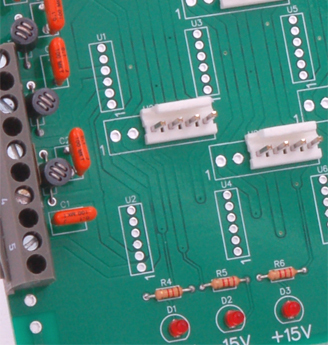 Common power supply voltages are + and - 12 Volts and more frequently, also include + 5 Volts. 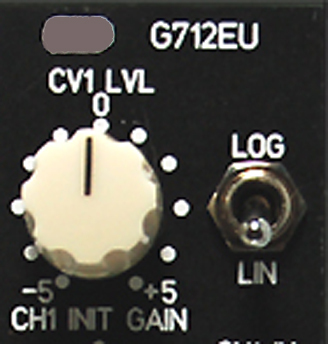 Signal levels are in the range of 5 Volts peak to peak and gate voltage levels are 0 Volts to +5 Volts. Patch cables use a compact 1/8 inch phone plug and jack. Panels for this format can be clear aluminum or black but can vary in color. 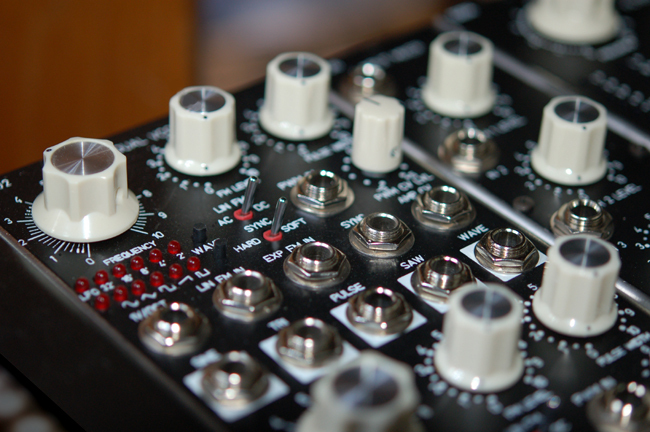 Many of our Eurorack modules are available in clear aluminum with black graphics or black anodized or painted with white graphics to match the user's preference. 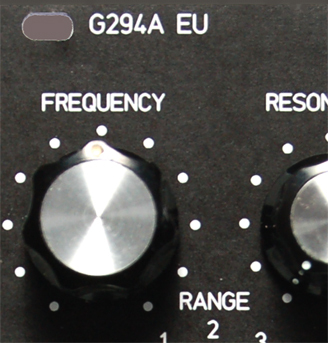 This section contains 3U format power supplies, power distribution boards, power cables and accessories related to processing, regulating and distributing power to modules in the synthesizer.